Sweetly B Squared: Walking with Dinosaurs! 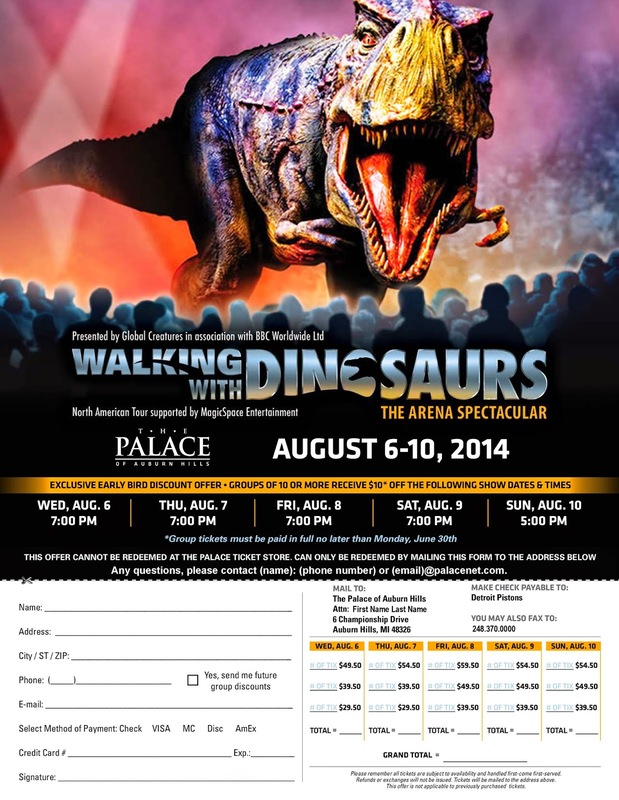 Walking with Dinosaurs - The Arena Spectacular is coming to the Palace of Auburn Hills! Don't miss it. There are eight shows between August 6 and August 10. If you've got a large group (ten or more) you can take advantage of the Early Bird Discount Offer shown on this flyer.